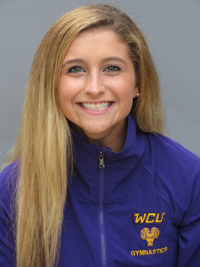 Jessica Meakim (Downingtown, Pa.) had a strong performance at the 2019 ECAC Gymnastics Championships as she tied for first on the floor exercise to help lead West Chester to a second place finish in the Championships. Meakim recorded a score of 9.85, which tied her for first place along with three other gymnasts who registered the same score. Additionally, Meakim earned Co-Scholar Athlete of the Year honors at the conclusion of the meet. 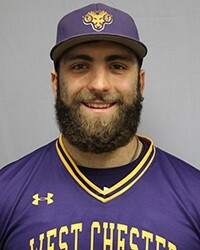 Joe Zirolli (Kennett, Pa./Kennett Square) had a solid weekend for West Chester as he went 3-for-6 with three runs scored, four RBI, one double and a pair of home runs to help West Chester earn a split against Mansfield. After being held relatively quiet during the first game of the afternoon, Zirolli exploded in the second game as he went 3-for-4 with three runs scored, four RBI, a double, and a pair of home runs to help West Chester cruise to a 15-2 victory over Mansfield.